The builders of the Old Kingdom pyramids oriented the monuments to the cardinal points with great accuracy. How they managed to achieve this has long been debated. Several candidate methods have been proposed, tested, and found workable, yet there is one straightforward method that scholars have largely ignored, perhaps because it was thought to be incapable of achieving the requisite accuracy. This is the 'equinoctial solar gnomon method' which uses a vertical rod to track the movement of the sun on the equinox. In this article, the author describes an experiment carried out to evaluate the method, and compares the results with archaeological survey data from the Memphite Necropolis in Egypt. An analysis of texts on a fragmentary Old Kingdom papyrus from Saqqara suggests that they record the construction of the pyramid complex of pharaoh Teti. Amongst the information obtained from the papyrus was a dimension – 441 cubits. This paper discusses the possible significance of this dimension in the context of Old Kingdom pyramid building. Studies of the earliest urban settlements in the Nile Valley often neglect to address the significance of built environments for the ‘poor’ and their relationship with social organization. The western workers’ quarter at el-Lahun; the ḫnrt mentioned in hieratic papyri, has received little scholarly attention in comparison to the eastern area containing the ‘élite residences’. In 1889 Flinders Petrie noted that the western streets of the town showed signs of a greater degree of poverty. Later examinations indicated the presence of a type of corrective labor camp; what might be described today as a ‘ghetto’. Convicts may have been forced to live in such places of confinement as a form of punishment. Life for a multitude of people in the ancient town of el-Lahun might, in fact, have been radically different from previously held views. Rather than a quiet township community, this article uncovers a social order built upon racial discrimination and cultural intolerance, marked by seclusion, coercion, and possibly violence. Architectural sketches showing profiles most likely used for constructing arched mudbrick and stone roofs and rock-cut vaulted chambers have been recovered from ancient Egyptian archaeological contexts. The procedures and/or mathematical principles used to construct the profiles and the data sets recorded on the relevant artifacts have been discussed for over a century. Certain interpretations seem to have attained the status of established fact, despite the lack of a solid rational basis. Catenary, elliptical, and circular arcs can often have similar profiles, so it has proved difficult to reach firm conclusions regarding the geometric construction methods, using the limited evidence available. This article revisits two of the major sources of evidence: ostracon JE50036, now in the Imhotep Museum at Saqqara, and a sketched form drawn out by tomb KV9, which is now, unfortunately, almost completely lost. The authors present a new combined analysis and propose that both of these arcs may have been constructed using the same elegant geometric procedure, which is based on a 3-4-5 triangle. This article presents an interpretive digital tool designed to facilitate the study of Egyptian domestic mudbrick archaeological sites. Ancient Egyptian domestic architecture is comparatively less well known than funerary or religious architecture. Traditionally, the discourse regarding ancient Egyptian houses has been built upon artistic sources such as tomb wall representations and models recovered from tombs and domestic spaces. These sources were generally produced by certain social groups and during certain periods, which limits their use to those contexts. 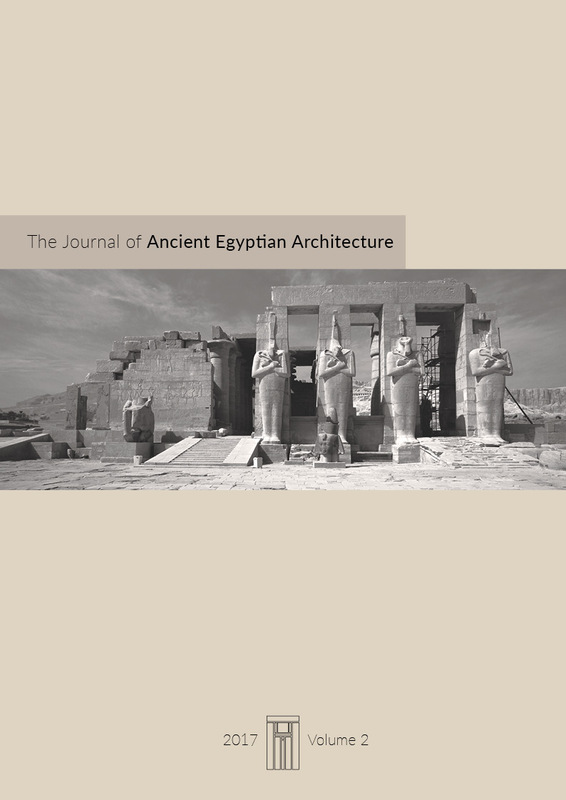 In response to this situation, this article outlines a practical way in which an ethnoarchaeological study of Egyptian domestic architecture has been translated into the development of a digital tool for the recording, analysis and interpretation of Ancient Egyptian houses.